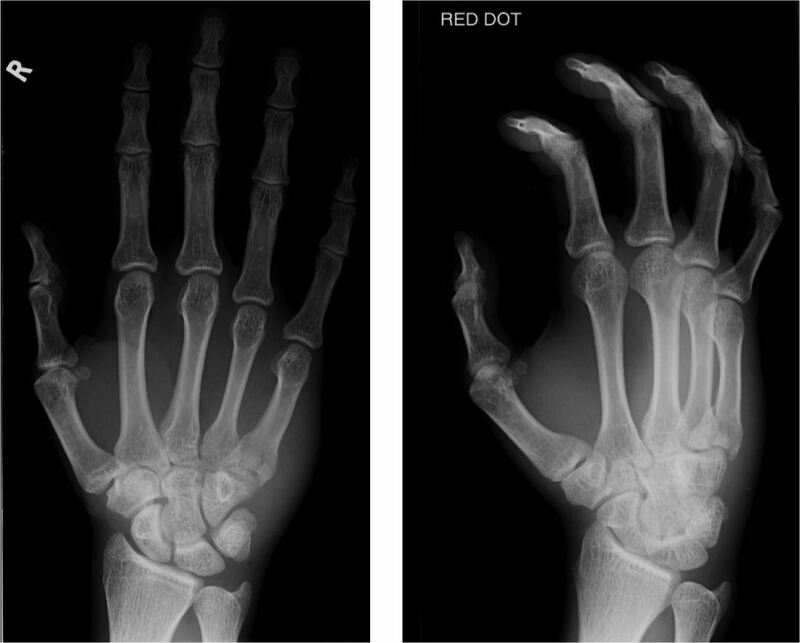 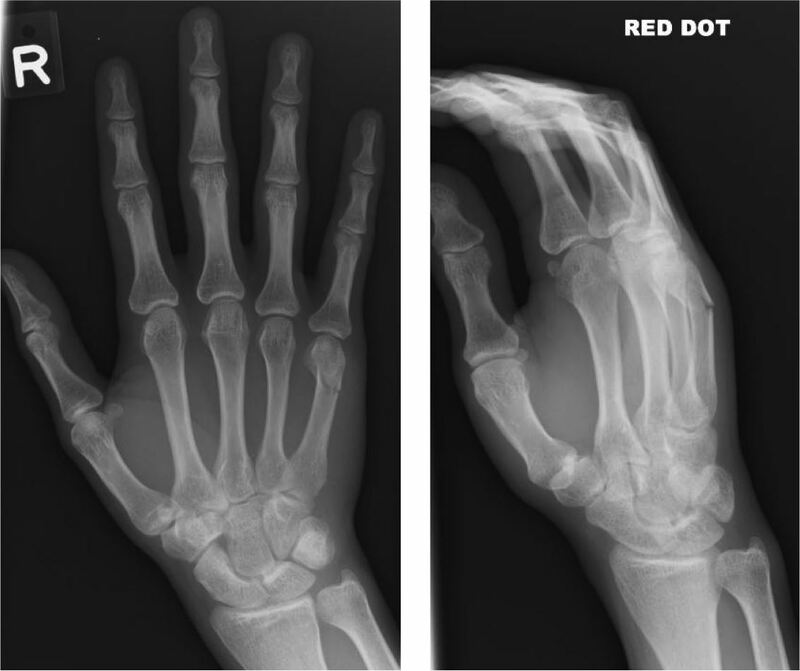 Mechanism of injury is similar to the 5th metacarpal neck fracture so, when index of suspicion is high and a fracture to the head or neck isn't present, scrutinise the base of the 4th and 5th metacarpals, and the adjacent hamate. 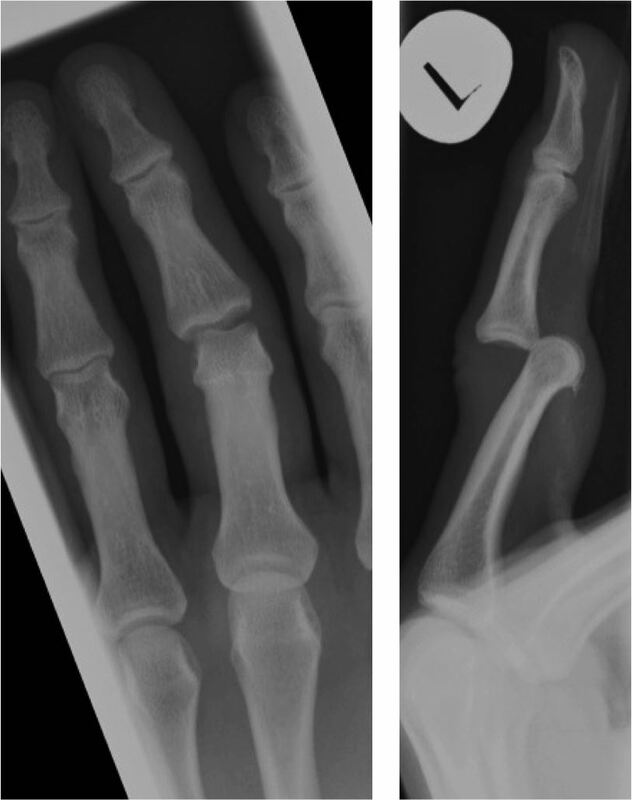 Salter-Harris Type I = Injury through the physeal growth plate only, usually with displacement. 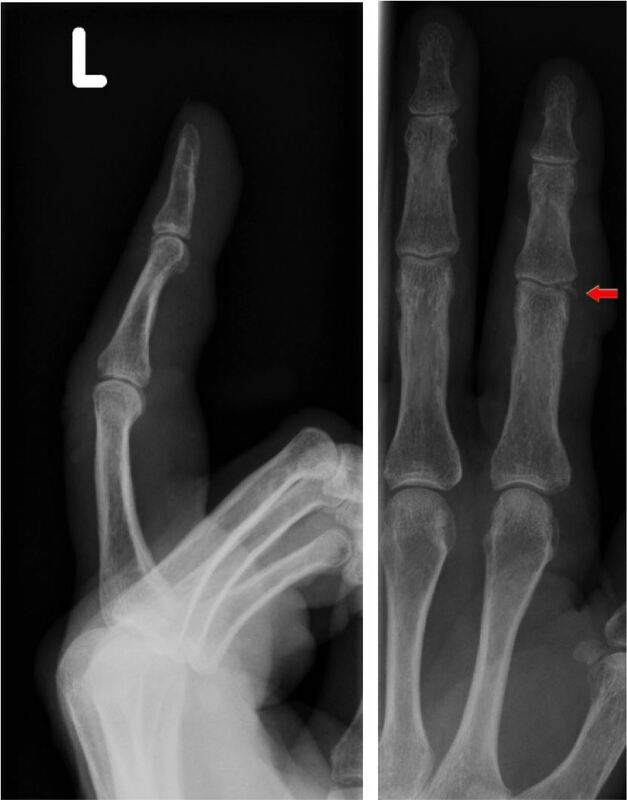 No involvement of the adjacent metaphysis or epiphysis. 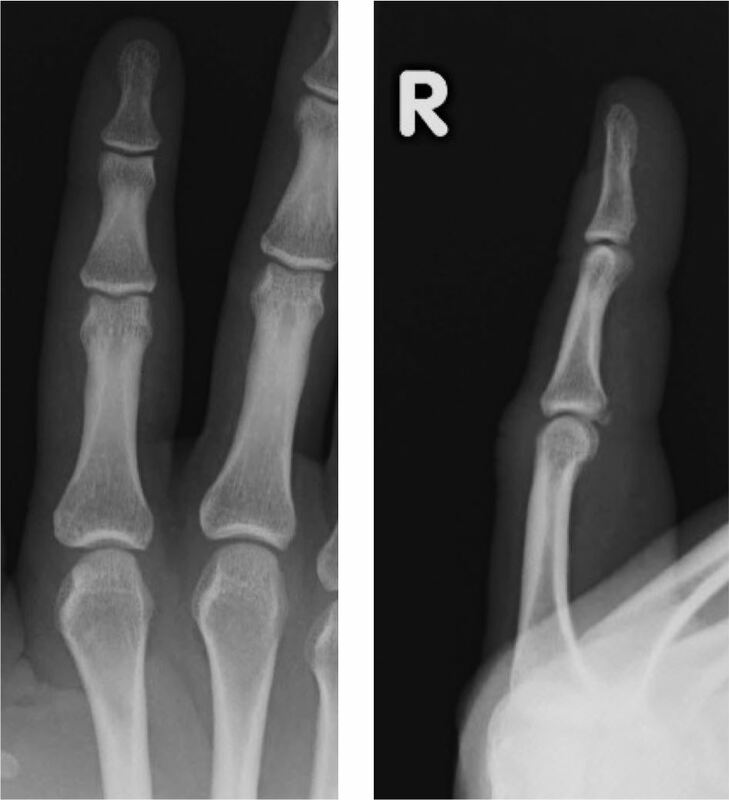 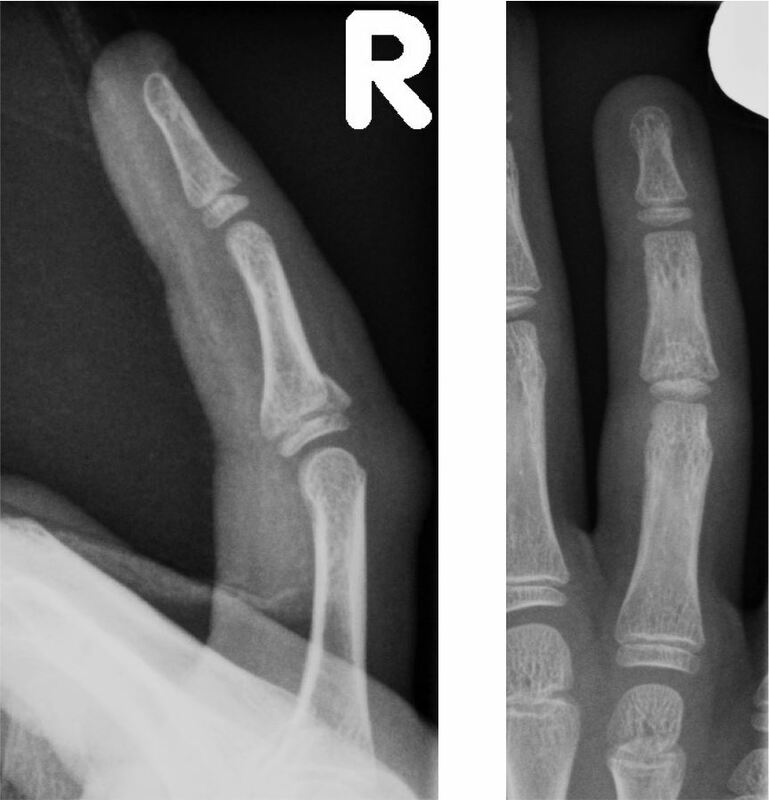 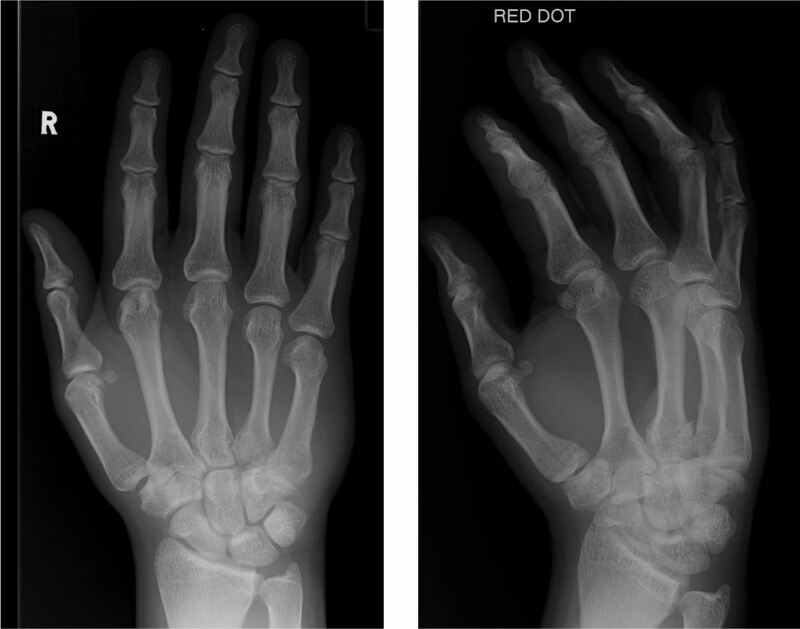 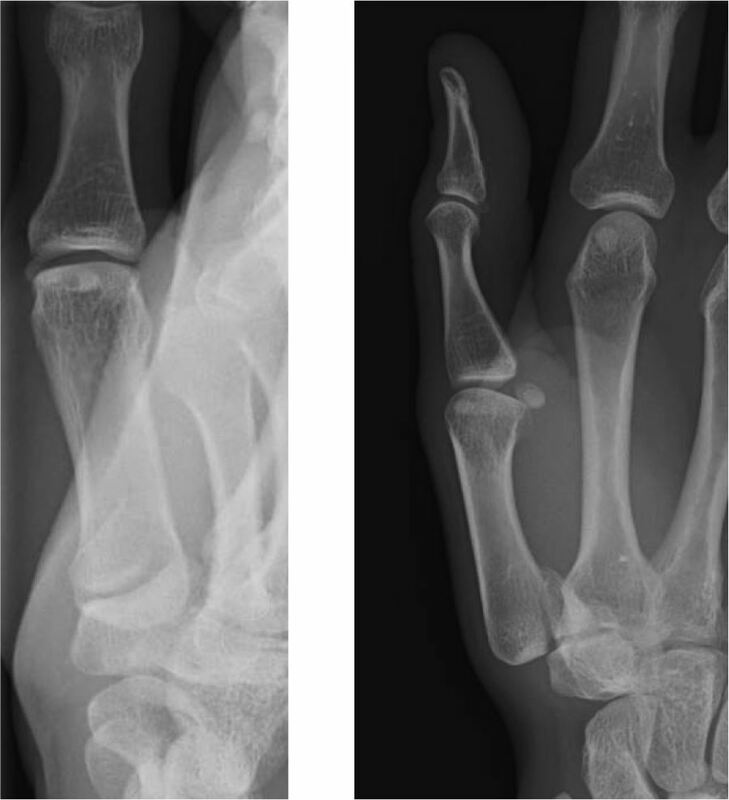 Salter-Harris Type IV = Fracture involving the epiphysis, physeal plate and metaphysis. 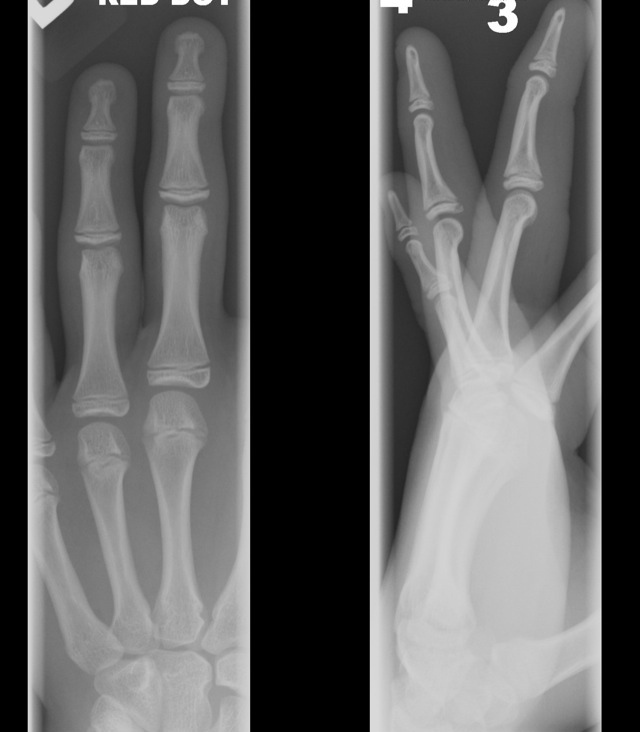 Salter-Harris Type V = A compression fracture extending through the physeal growth plate. 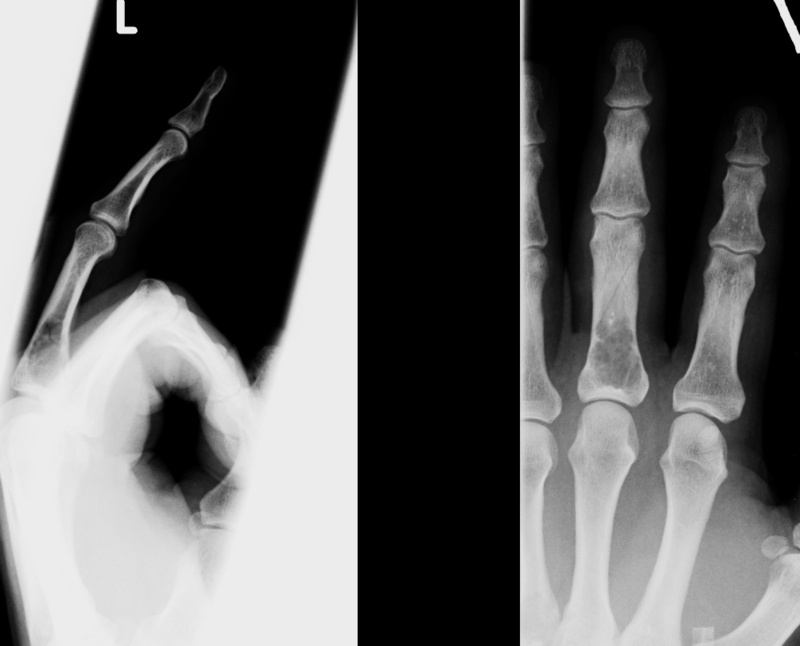 Often difficult to detect. 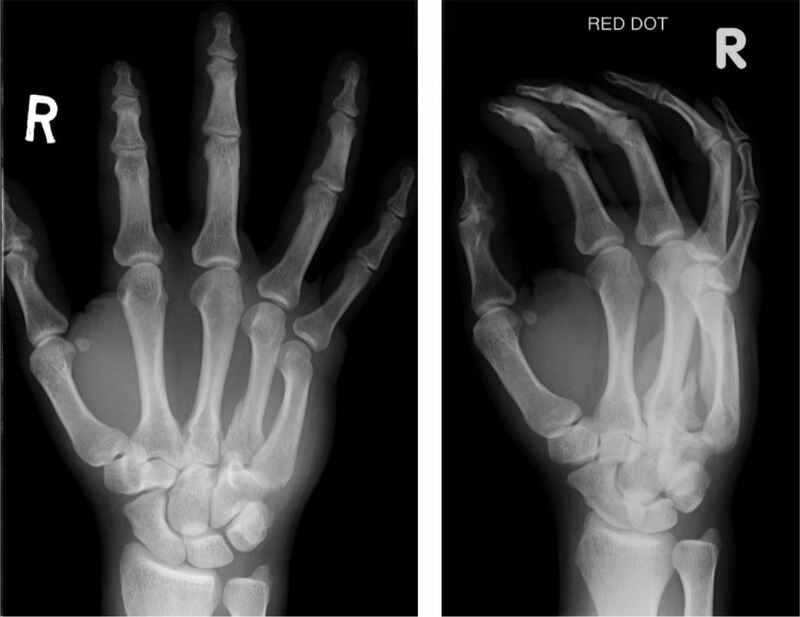 As the classification increases from I to V, the frequency of injury decreases (types I and II common) but the severity of injury increases. 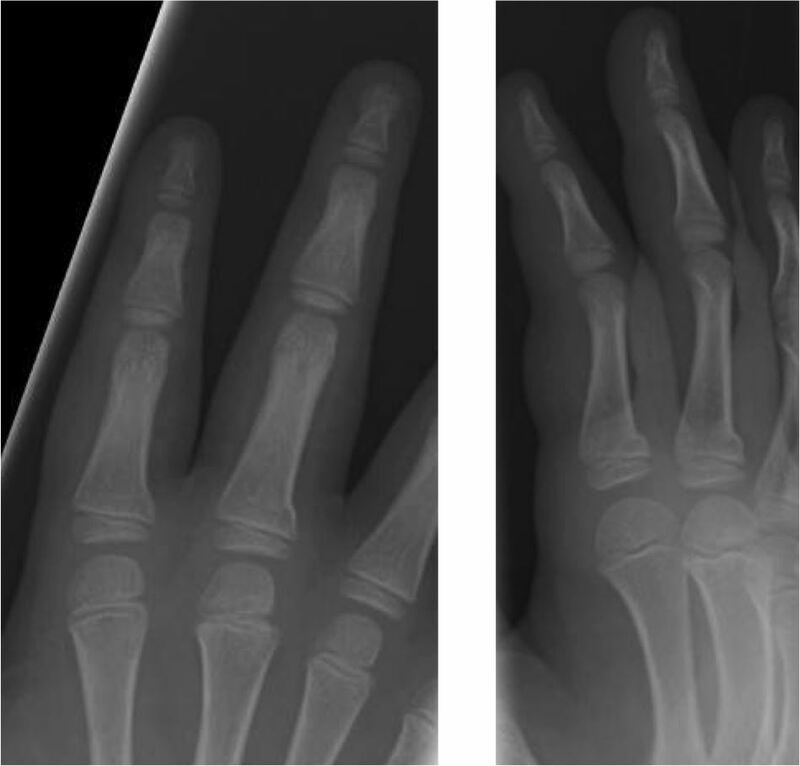 A benign lytic lesion, often seen within the phalanges. 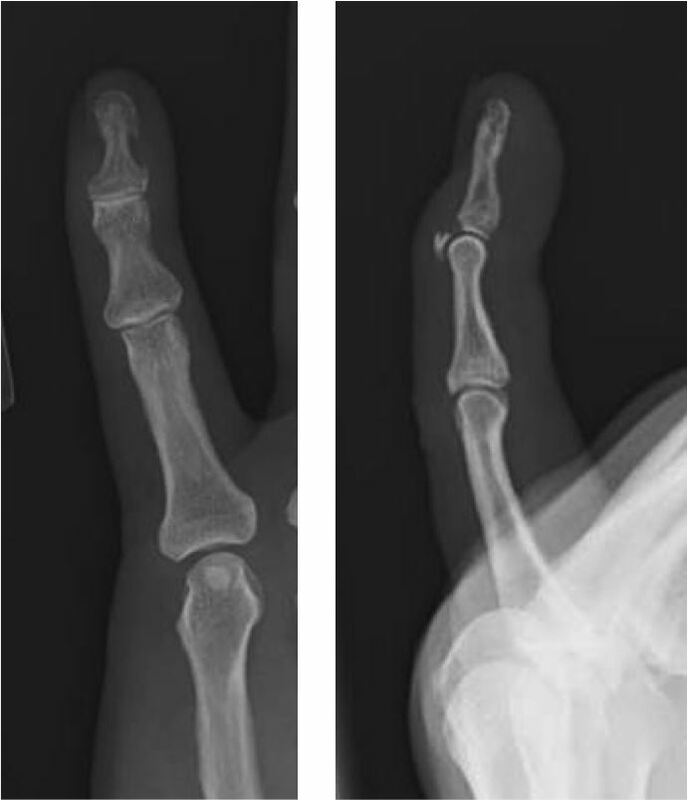 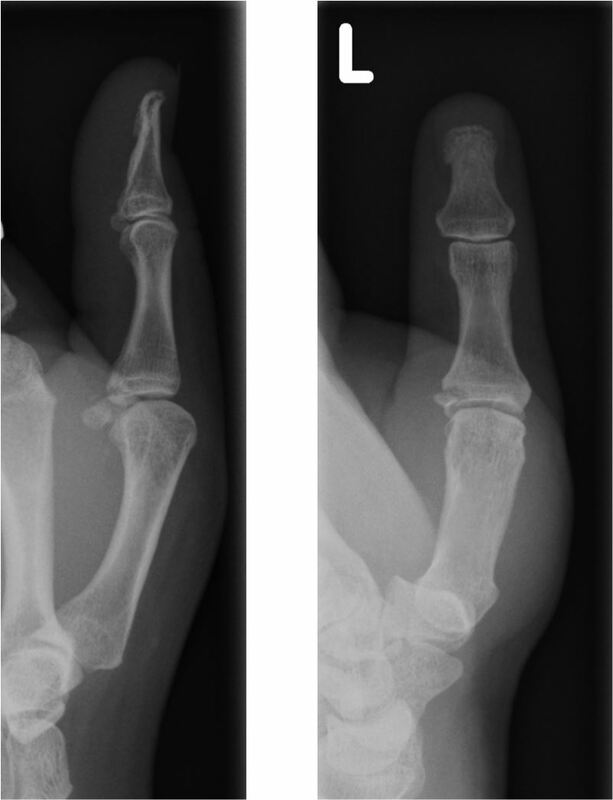 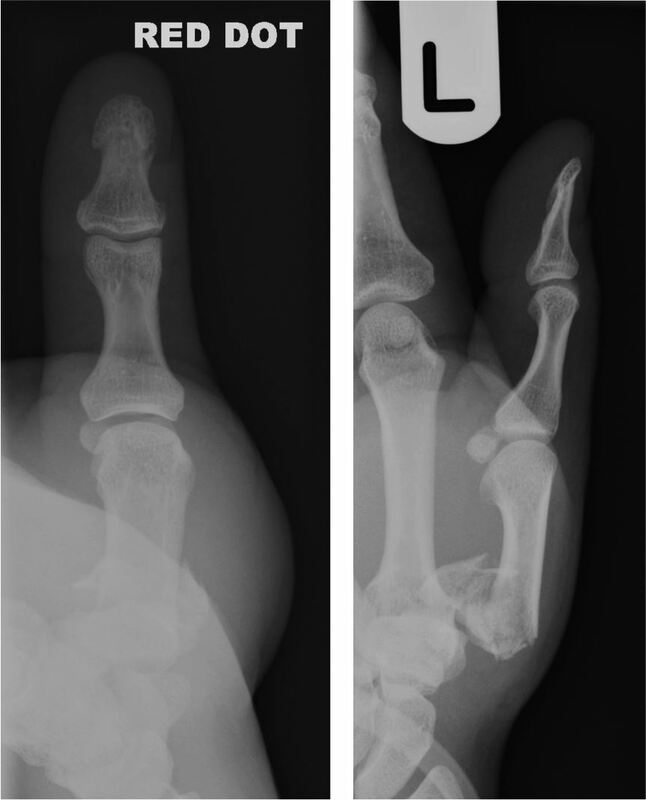 Usually asymptomatic and an incidental finding, but can fracture. 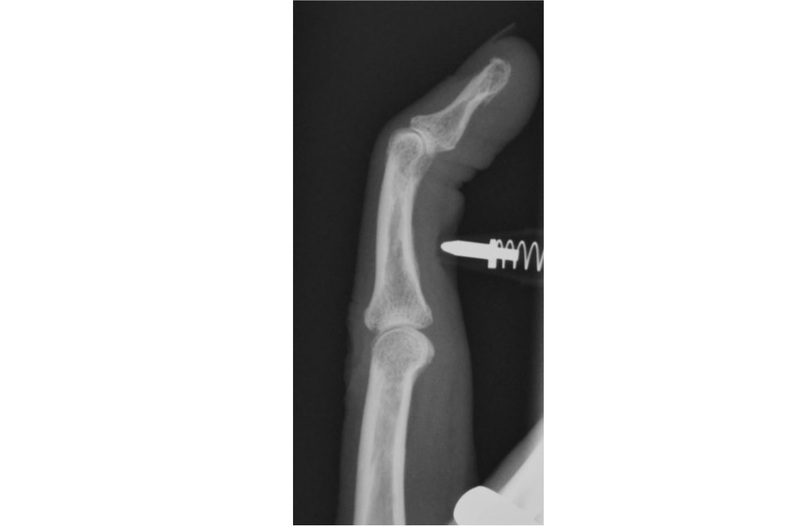 Characteristically lobulated, slightly expansile with endosteal scalloping and cortical thinning. 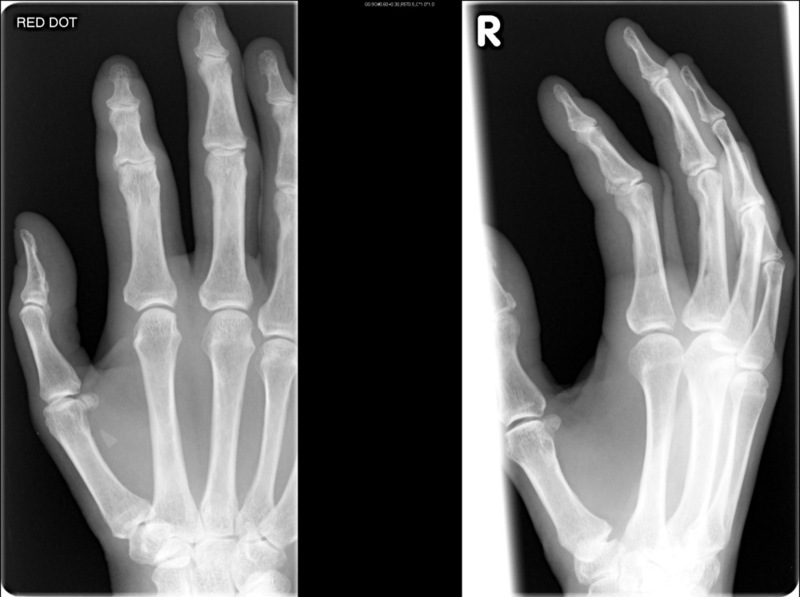 Multiple enchondromas also commonly seen (Ollier's disease).